Discussion in 'Amps and Cabs' started by Romain, Apr 14, 2016. As explained before, it is based on the Two Rock Matt Schofield circuit but Chad reduced some of the "hot" that the front end had, improved the reverb circuit and added the "Signal Structure" switch that completely changes the front end and takes the amp closer into the Crystal / Classic Reverb zone. First of all the Two Rock DNA is obvious: awesome cleans, incredible dynamic, expended sound spectrum, great thick mids, huge & tight low ends, round & singing highs and a globally balanced sound with a great EQ. But this model can also offer a different feel, more fenderish. In high signal mode (and EQ-2) with a strat it's instant Schofield tone! There is a slight distorsion on the notes which is pretty awesome. It sounds organic, as vibey as an old vintage amp (think refined blackface). I love how it feels: both perfect and unperfect. It's different from my others TR amps. In low mode the Cynergy has a more classic Two Rock clean with a modern feel I would say, with more headroom and a better clarity between the notes. It has the ability to get close to the Crystal signature sound but it's not exactly the same. I think the Crystal has more low mids. But I need to spend more time in this mode. I'm mostly using the high mode because it's too good! Furthermore this amp is really versatile, the use of the Signal strength switch and EQ switch gives a wide range of tones and volume levels without sacrificing the base tone of the amp. I play a strat and a semi-hollow through it and they both sound phenomenal! I also appreciate the EQ-1 in low mode with my archtop. I don't like these kind of guitars through my Crystal, too boomy, but it's magical through the Cynergy. The reverb is really great too: rich, lush and deep like on the Crystal but more versatile with its 3-ways switch. And it takes all my pedals really well: FTT Red Jasper & SOV MS, Katana, TS10, KTR, JanRay, ... It's terrific! There're also additional cool features like an external bias adjustment, a fixed/cathode biased switch and two 8 Ohms speaker outputs which I find really useful. And the most important, Chad is the best. He's passionate about his work and takes the time to explain in details how his amps sound. I wish him the best with this new adventure! Just to be clear, I'm not affiliated with Chad's new company, just a Two Rock & SineWave fan. Cgkindler, rummy, lespaulnmarshall and 4 others like this. Fantastic. Chad is awesome. His skills are tremendous and yes he is super cool. Enjoy your new amp! I am on the beach in Mexico reading this but I miss my Cynergy.... What speakers are you playing through? My settings, using my Strat, are quite close to yours, including the Reverb setting at the darker setting (bottom). I use a RC boost pedal to push it a bit and the amp seems to really like my Wampler Euphoria pedal. Or both in combination. I'm using an EVM12L in a 1x12. Cgkindler and Romain like this. I'm mostly playing through a Celestion Gold in a 1x12 cab (TR Crystal) and really like it. I also tried a G12M-65 Creamback and a G12-65 but I prefer the Gold right now. I need to try the G12-65 in a good cab, mine sounds really boxy. And I would love to try an EVM12L! Please post a demo of the sound if you can! Easily my favorite of any Blackface style amp I've played to date! Romain, your description is absolutely perfect!!!!! 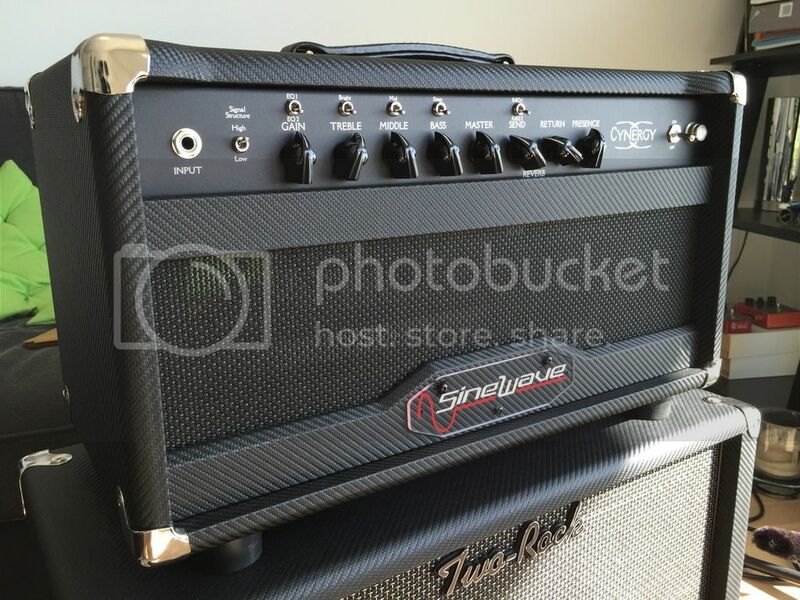 !.......Definitely not an easy amp to describe! Looking forward to the Zero-Point Model! PurpleJesus and Romain like this. I'd also be keen to hear these amps. Congratulations to the guys who own one of these. Thanks guys! I'd like to record a proper video but with a mobile phone I think I won't do justice to the amp. Chad will release soon a real demo and I bet you'll be amazed! Don't know if someone on TGP got a Zero-Point? I think the first ones went to Japan. Maybe Chad could tell us more I'm really curious about this amp too! The control set certainly looks familiar. Can't wait to hear it after reading the description on his website. kingsxman, Cgkindler, northfortyrecords and 4 others like this. my first impression is... very TR like tone even it is the high signal structure mode. i thought it would be blackface super reverb like tone. whatever... the tone is awesome. 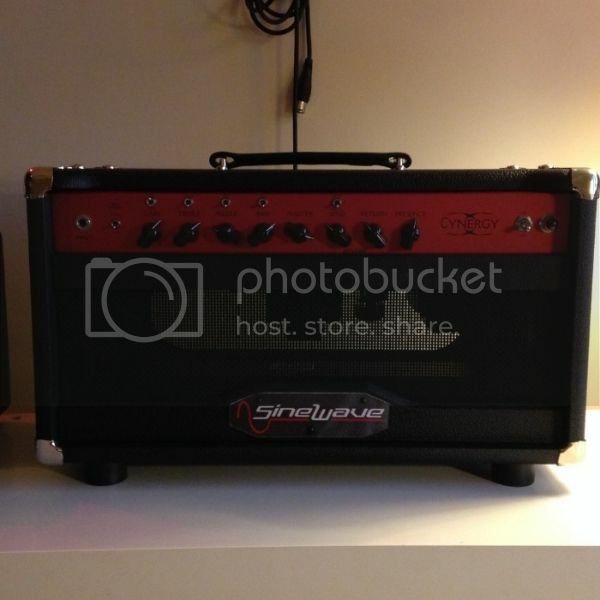 as far as i know, this is the best demo of sinewave amp so far. i hope i can see more demo videos (including Zero-Point) before i purchase it. Wow, that sounds fantastic. I wonder if that's straight in? i though it would be blackface super reverb like tone. IMO even in the high signal structure mode it's more a Two Rock with some blackface super reverb qualities than the opposite. It's less HiFi than in low mode which brings more personality and soul to the amp. I think it is. Probably with the R-EQ set to 1 for a lot of reverb. And yes the Cynergy sounds gorgeous! I met Adam 3 years ago during the PBG european tour, a really nice guy and an incredible player with its own style! Cgkindler, Bluesful, idnotbe and 1 other person like this. It seems that he's now only offering one version at $3,500. Up until now, he had a $3,000 standard version, and an NOS version for $3,500. Looks like he made the same change to the Zero-Point as well. Awesome. Now I just need to figure out a way to get the AUD to move upwards . MHG, Clean-Tone and Vai81 like this. Yep, nothing is a GAS buzzkill quite like a weak AUD.